We have already seen a couple of (wonderful) trailers for Early Man, the new film from Aardman legend, and Wallace and Gromit creator, Nick Park. Now we've got another new trailer, this time from the film's US distributor Lionsgate. 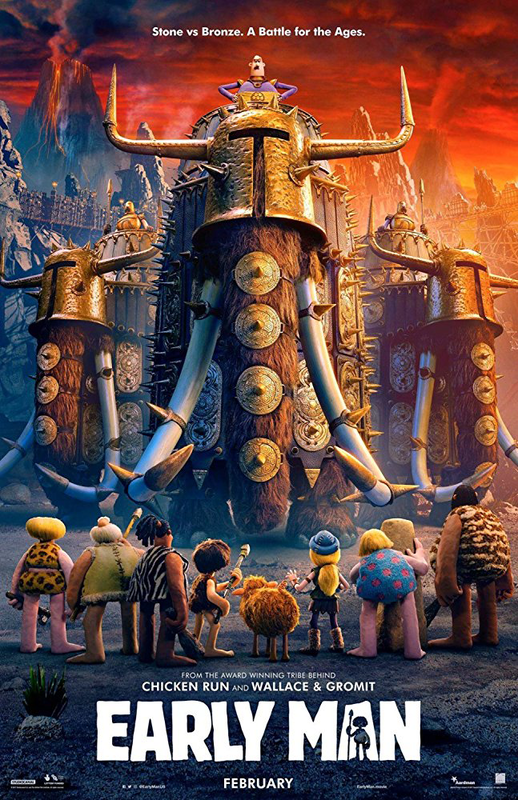 Park's first feature since Curse Of The Were-Rabbit features a stone-age tribe whose existence is threatened when they come up against the dastardly Lord Nooth (voiced by Tom Hiddleston). It's up to caveman Dug (Eddie Redmayne) to try and unite his tribe and save the day. The new trailer is full of classic Aardman gags and the studio's unique charm. Most of what's here you won't have seen in the earlier trailers either. A word of warning though: although this is being sold as a "teaser" trailer, this seems to give away more than the UK trailers do. So if you've seen enough in the earlier trailers and don't want too much more given away, you might want to give it a miss. Early Man will be released in the UK on January 26, 2018. The US release will follow on February 16. Lionsgate also released a brand new US poster which you can see below.